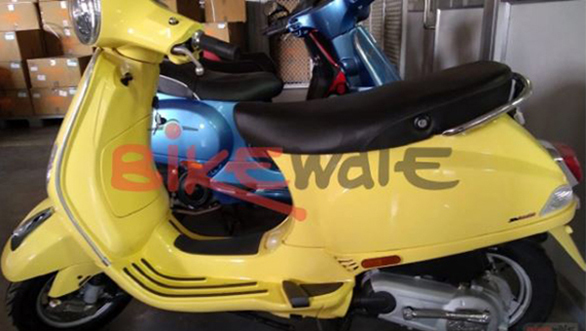 Vespa 125 scooter has been updated with the combined braking system (CBS). The update is to make the scooter meet the new safety standards which will be mandated soon. The Vespa 125 scooter is available in two variants - Disc brake variant and the drum brake variant. The former has been priced at Rs 81,981 and the latter one will set its customers back by Rs 77,481 - ex-showroom. A sticker that abbreviates combined braking system is seen on the front fender. 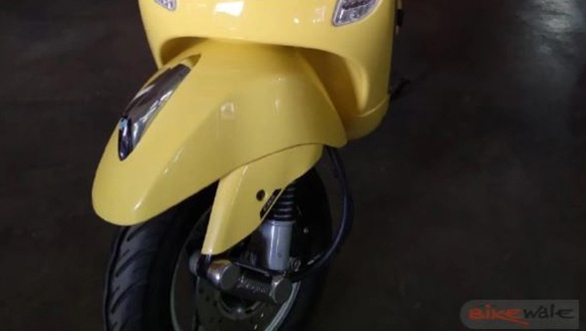 Other than the updated braking system the scooter carries no change in the mechanicals nor in the styling. Powering the scooter is a 125cc that produces 9.6PS of power at 7250RPM and 9.9Nm of torque at 6250RPM. The power is sent to the rear wheels via a continuously variable transmission (CVT)The disc brake variant gets a 200mm disc for braking in the front while the rear still uses a drum brake unit.